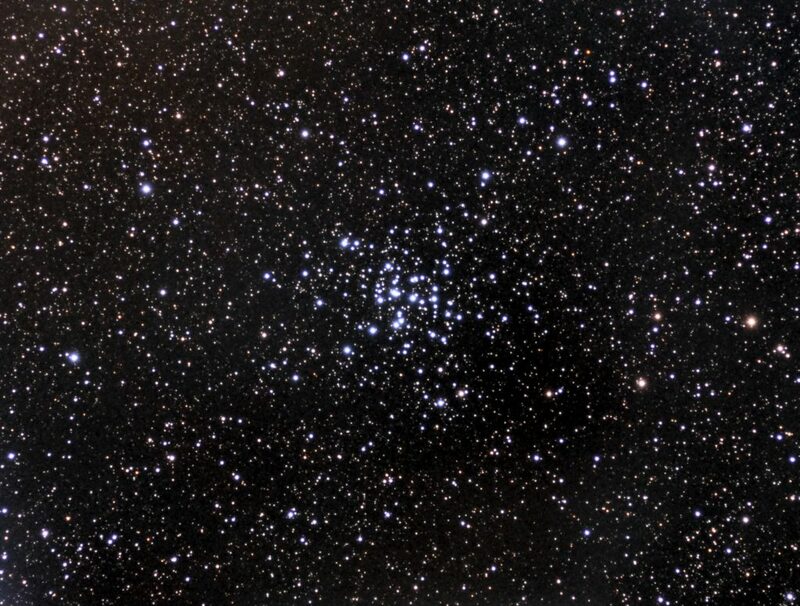 Messier 36 is an open cluster in the constellation Auriga. It is located roughly 4000 light years from Earth. It is similar in nature to the Pleiades, and would appear similar in the night sky, if it weren’t almost 10X further distant to Earth.